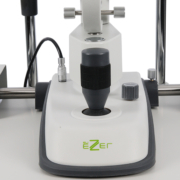 Ezer ESL-7800 Slit Lamp Microscope provides a more accurate diagnostic with specialized optics and increased magnifications levels. 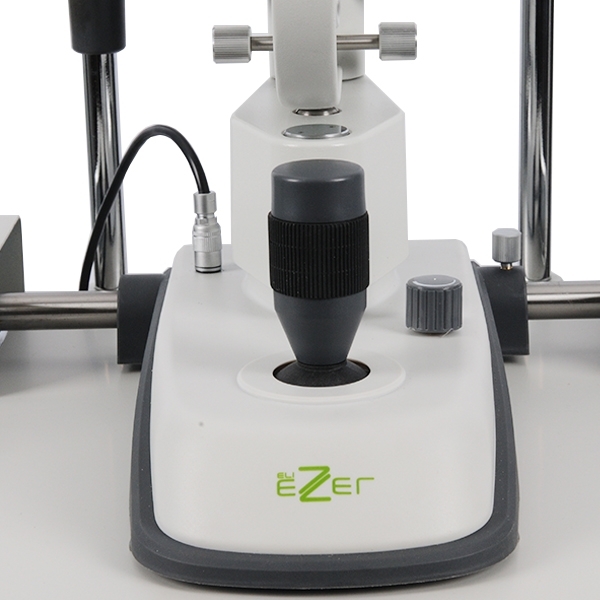 The ESL-7800 Slit Lamp Microscope is the highest quality slit lamp in Ezer's series. 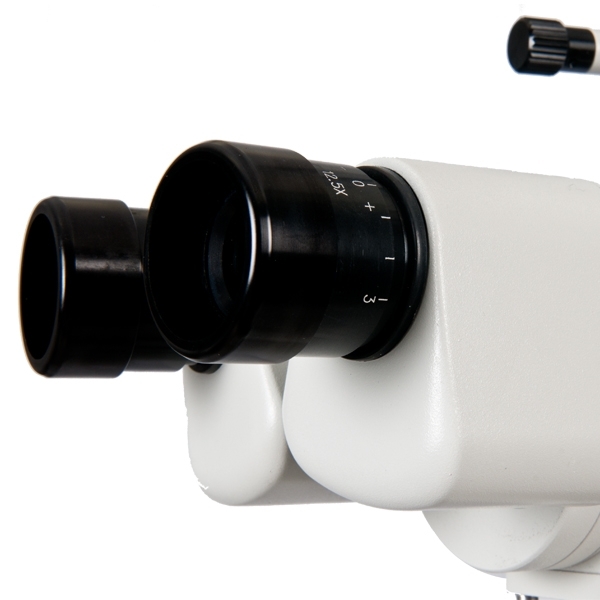 Designed in the traditional tower style configuration, the ESL-7800 offers specialized optics, greater magnification levels and wide field-of-view. 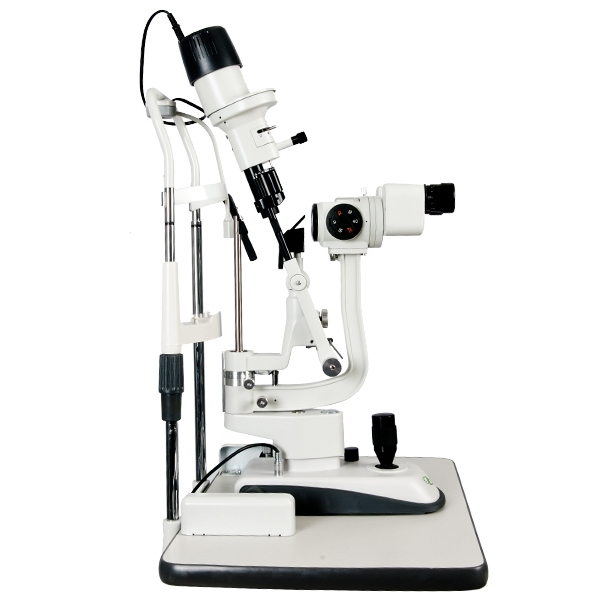 It boasts an advanced Galilean Optical System and a five-step revolving drum that allows for an easier exchange of the magnification levels than exchanging an eyepiece. 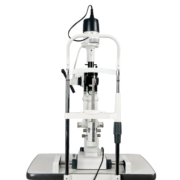 Using the unit's Accessories Mount, the ESL-7800 can be equipped with a Goldman applanation tonometer as well as several other accessories, including video accessories. 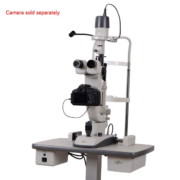 High-clarity luminance, two reflecting mirrors, four built in filters, two fixation targets, and a Hruby Lens Kit are among the many specialty items that practitioners will benefit from when selecting the high-end ESL-7800. 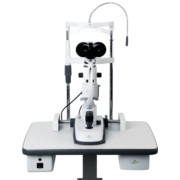 Great features, quality design, flexibility and performance make Ezer's ESL-7800 Slit Lamp an exciting choice at a compelling value. 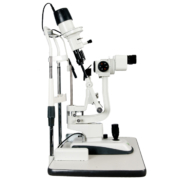 The optics in the ESL-7800 Slit Lamp are ideal for technologically advanced imaging systems. An optical beamsplitter featuring an “in-out” prism system allows maximum illumination to the practitioner during observation and likewise enables to digital and video imaging systems when these tools are in position. The dual port beamsplitter also allows an assistantscope to be attached. Ezer’s ESL-7800 Galilean converging optical system offers a very large binocular field of view of Ø33mm, Ø22.5mm, Ø14mm, Ø8.8mm, and Ø5.5mm, with a 55mm-75mm range of PD adjustment and -5D to +3D diopter adjustment. 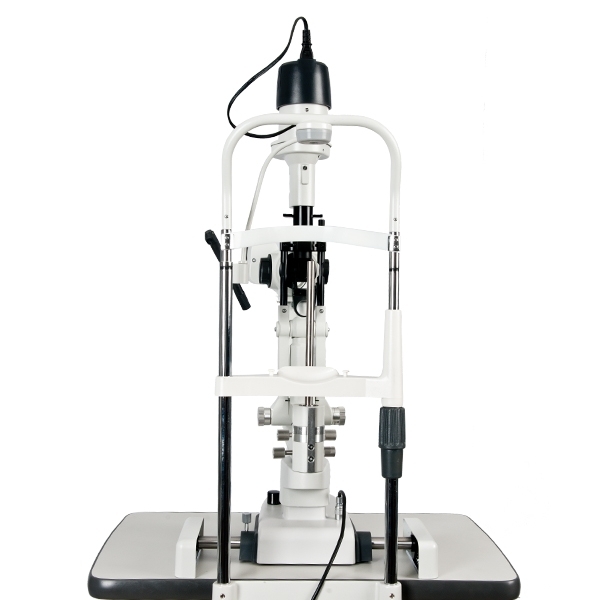 Two Fixation TargetsThe ESL-7800 offers two options with respect to fixation targets. One is for diopter adjustment to help the patient to see the target clearly while the other is an illuminated fixed spot. 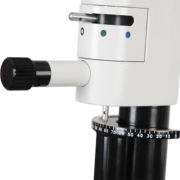 The fixation target with diopter compensation supplies a dot and concentric circles target. 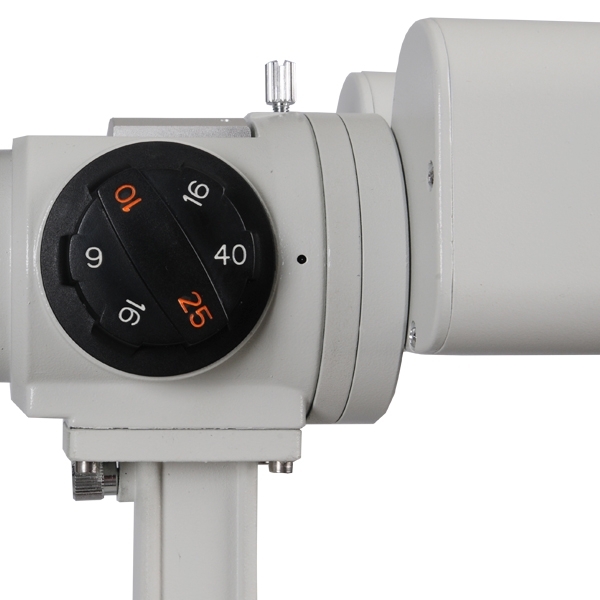 Operators simply slide the knob to adjust the diopter compensation within the range from -15D to +10D. 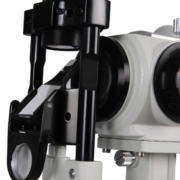 The fixation target with spot light is especially well suited to patients with refractive errors exceeding -15D. 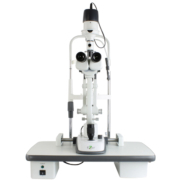 Unlike standard slit lamp units, Ezer’s ESL-7800 also allows for a dilated examination of the fundus and the posterior segment of the vitreous body using a Hruby Lens with the unit’s Hruby Lens Holder and Hruby Lens Guide Plate.